Why Betternet VPN Is Free? 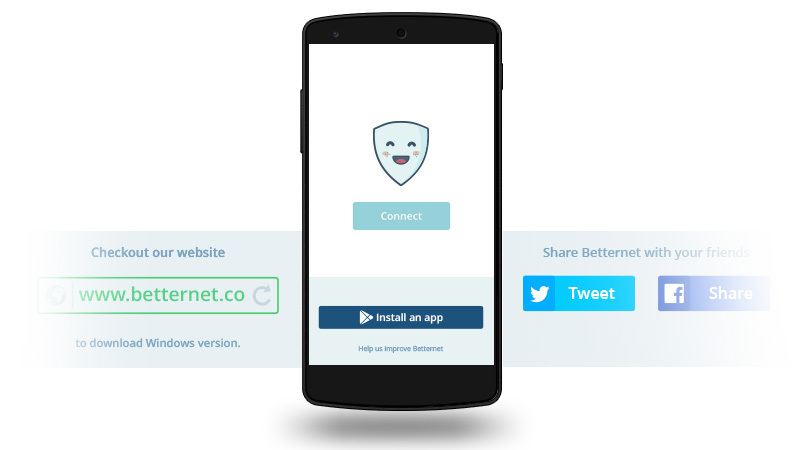 As many of you already know, Betternet VPN is a totally free service that allows you to unblock all filtered websites in your country, surf the web anonymously and access geo-restricted content everywhere. Yet many users ask how does Betternet work if the service is totally free of charge. Some users may question the credibility of this VPN and think Betternet sells users’ private information to other companies in order make money, etc. This post answers all your questions regarding your privacy concerns. We Don’t Sell Your Private Info to Any Third Parties! *Betternet *will not and cannot give away your personal data to authorities or sell it to any third parties since it’s not stored at the first place! We will never compromise your privacy and security. Our mission is to make the Internet a safer place for users and not compromising their lives for our benefit! How Betternet Makes Money and How Can You Support It? We work with third party ad networks to recommend the best apps to you. Promoters and ad networks pay Betternet for every recommended app that you install on your iOS or Android cell phone. You can do this voluntarily to help us provide you with the best possible user experience! When you open Betternet app, on bottom of the page you see the button “Install an app“. Users who choose the “install an app” option will be recommended interesting apps and installing them will help us give you the best possible service! Users who install an app become Boosters *because they help *boosting Betternet quality by installing apps or watching videos later. This is how we can continue to work for free. Our team’s mission is to provide the Internet users all around the world with a censorship-free Internet. We believe every person is entitled to have online privacy and the freedom to surf the World Wide Web without any restrictions. Thank you for your choice and for contributing to Betternet’s effort to provide Internet Freedom for everyone! Check out our blog posts to stay updated about the news and updates. If you found this post interesting consider sharing it.